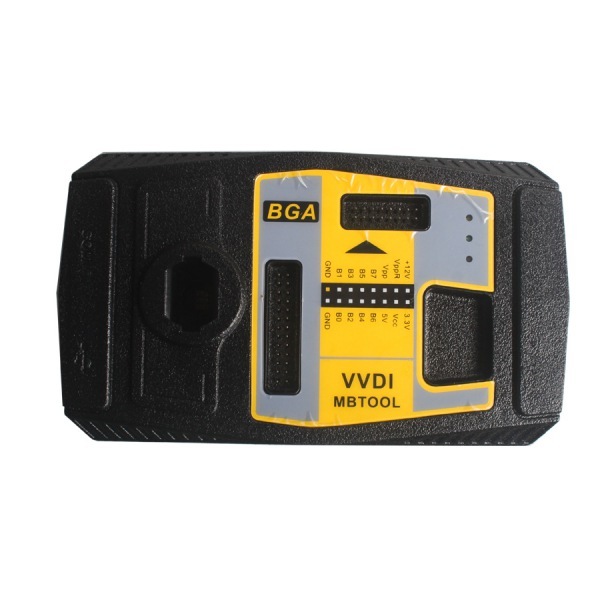 Xhorse VVDI MB BGA TOOL is for Benz key programming.VVDI2 MB tool support Benz key,read password and prepare new key via IR and all key lost.Xhorse VVDI MB BGA TOOL VVDI BENZ software can be update online. 1. Support BE key, read password and prepare new key via IR. 2. It Supports Password Calculator Function. Each time will cost 44.99USD. It takes 4 minutes to collect data, and 2 minutes to calculate. 3. On March 2nd, VVDI MB Tool add these two cables: Gear lever ECU Refresh Diagnostic Cable (the first cable of the following picture) and Gearbox ECU Refresh Diagnostic Cable (the last cable of the following picture). 3. We also support calculate password for NEC v51, v57 keys. No soldering. Note: VVDI MB BGA tool update goes well, the following workable models are for reference only. What keys/remotes are VVDI MBTOOL supported? Q: suport all key lost? Q: I bought EIS W221 lock with a key from the lock from one machine. I have read the PSW. I will make a complete loss of W221 key in the future? 2.read used EIS data enter password,get erase password->renew used EIS. by the way,if your all key lost W221 is motorola EIS,not need to change EIS,remove eis get eeprom by programmer(VVDI PROG). then load eeprom to VVDI MB TOOL prepare key file. Q: I have a w204 All key lost and i program a new EIS with VVDI, the ignition doesn't come on or crank, but the steering can lock and unlock. can someone guide me what to do? Q: First time today it took much longer than 8 hours to Unlock NEC. Now I cannot personalize this ESL back because it is just not calculating key password. I have working key but it keeps failing to Calculate password. I have done about 6 or 7 times already. Is there some problem in this V2.1.7? Or is the server having issues? A:All sorted out. All done by VVDI but it took so many times to calculate password. Had to do aqcuisition maybe 8 times or so. The NEC is also unlocked. Then wrote ESL and personalised and ll is working fine. Customer will take it over the weekend to fit as the car is more than 500km away. If they can see why recently is the VVDI suffering with password calculation on W204. solution :about 8 times online calculation,the point is data acquisition,each time if acquisition without valid data means need one more time again. Q: What other accessories do I need to work with VVDI MB? 1D69J/0D69J cannot be read by IR alone - A calculation with kline is possible. Only support parts of HC05, HC08 motorola eis(K line),if cannot support will show error, need to remove eis get eeprom. 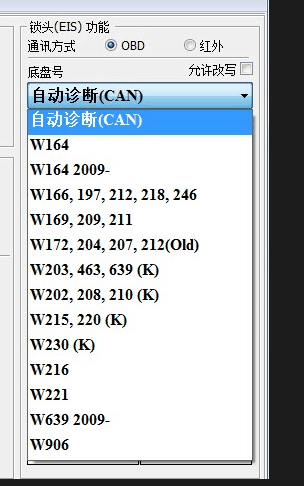 we have tested W215 ok, but not means all W215 can support.in fact only support parts of this type.